New Zealand has long been known for it’s stunning scenery, world-class golf courses and thrill seeking opportunities. However, less well known nationally and internationally are New Zealand’s luxurious yet ethical wellness resorts. Located throughout the North and South Islands these resorts, lodges and retreats are perfect if you’re seeking relaxation and/ or physical challenges, inspiration, a detox or simply a pause. 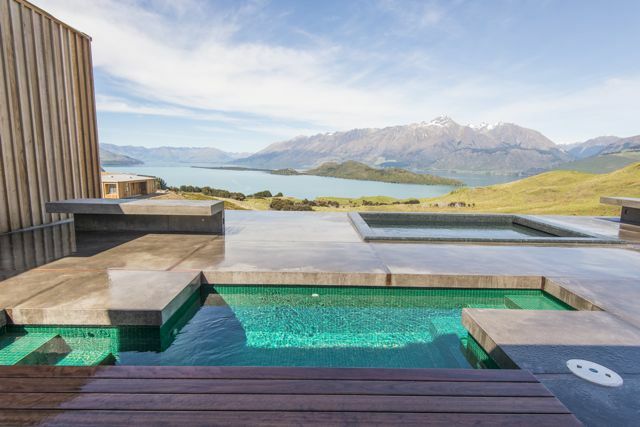 Aro Hā is New Zealand’s newest retreat, located in Glenorchy – a scenic 40-minute drive from Queenstown in the South Island. A self-sustainable, five star resort Aro Hā looks out over the impossibly gorgeous lake Wakatipu and the Southern Alps. and a wholefood detox vegetarian menu. Find out more about Aro Hā retreat .